Whether you’ve skimped on regular cleaning or recently moved into a home with carpets that could use a little work, many people find themselves facing a big question- should I replace my carpet, or simply have it professionally cleaned? At our carpet cleaning company in NJ, we are proud to be able to offer our customers some help making your decision. When you’re deciding whether to replace your carpet, timing is among the key factors you’ll want to consider. If you are thinking about moving in the near future, you may want to simply have your carpets cleaned, as buyers may want to select carpet based on their own taste and design ideas. Another aspect to consider when debating between a new carpet and professional cleaning is your budget. Purchasing and installing a new carpet can be a very costly investment. When it comes to prioritizing household necessities, upgrading your carpet might not be at the top of your list. 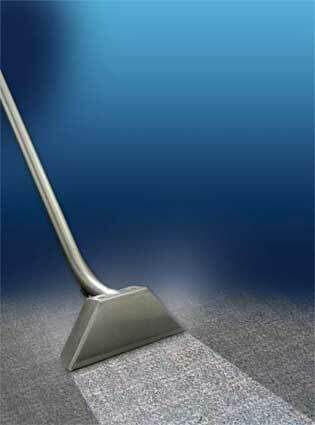 Fortunately, it is easy to freshen up your carpet’s appearance by having it professionally cleaned. Are you a new parent or have newer pets? You may want to wait to replace your carpet. Children and pets both tend to bring create more messes, so homeowners may want to wait until the mess making subsides before investing in an expensive new carpet. With regular professional cleaning, you’ll be able to maintain a gorgeous appearance without having to spend a lot on a brand new carpet. Of course, there are times when timing, budget and lifestyle are not the most important factors when deciding whether to replace your carpet. If you have flood damage, obvious stains, mold, mildew or health concerns, you may want to purchase new carpeting sooner rather than later. At Best Way Carpet and Tile Cleaning, we are proud to be able to offer our customers the services they need at prices that won’t break the bank. Next time you find yourself considering investing in a new carpet, give us a call to see if professional carpet cleaning will solve your problem. To learn more about our services or to speak with a service technician, we invite you to give us a call at 732-391-6500. This entry was posted on Friday, October 25th, 2013 at 8:00 am and is filed under Carpet Cleaning in NJ.